“My dad used to say that Nogales was a big secret,” Gregory Kory said, smiling nostalgically. An affable native Nogalian, he owns Kory’s and La Cinderella in Nogales, Ariz. He shares his father’s affection for the area – the wonderful people, the pleasant weather and the pretty scenery. After attending Santa Clara University, Kory worked at Macy’s in Northern California for two years before returning to help his father run the family businesses. 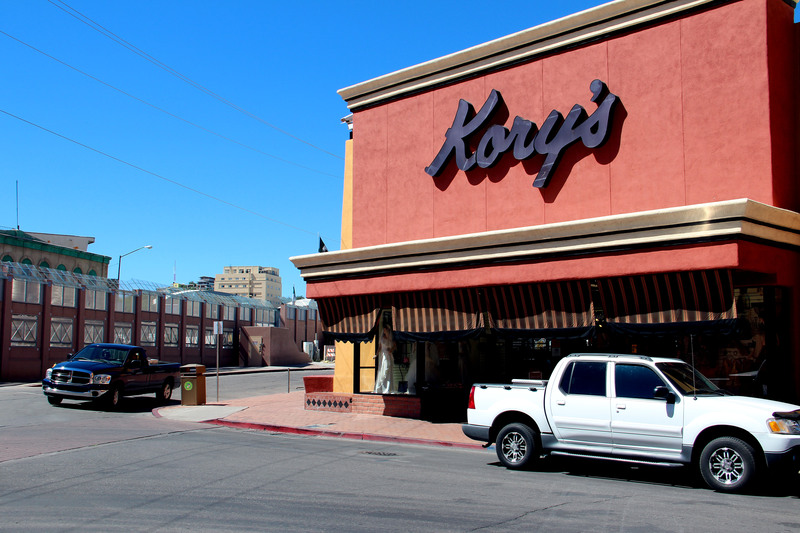 Kory’s, a bridal, formal wear and clothing emporium, is one of the first stores pedestrians see when they pass through U.S. Customs leaving Mexico. Sitting on the end of Morley Avenue, the store is across the street from the huge border wall. Kory remembers a time, not so long ago, when the wall wasn’t as imposing. When he was in high school, in the late sixties, Kory says, “The relations between countries was beautiful. We went back and forth three, four times a day if we wanted to without any problems whatsoever.” He and the other students attended quinceañeras and fiestas in Mexico and had friends in both countries. These were “the years of innocence,” he said, “for the city and for me as well.” Almost all of his peers were bilingual, including himself. 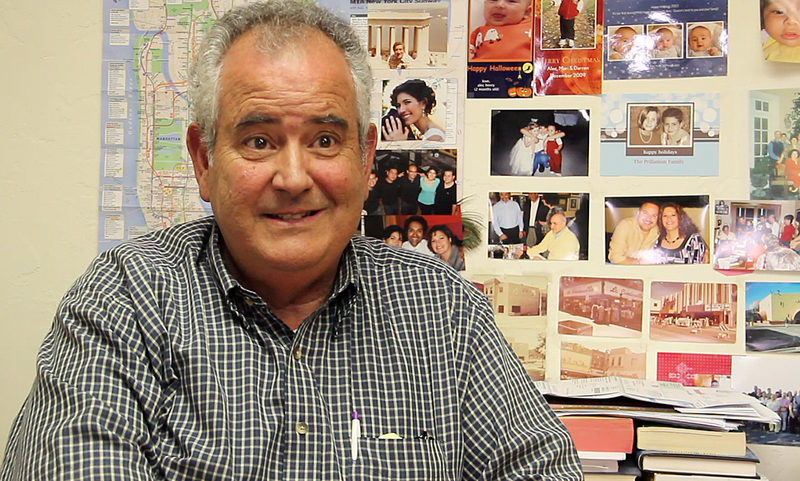 Modestly, he said his Spanish is “not educated” but it has improved with his marriage to Sandra. While speaking about his wife, Kory’s eyes shine with admiration. “Some people buy a lottery ticket – I won my lottery ticket,” he laughed, referring to his marriage of 31 years. The two met at Kory’s when his father still ran the business. Sandra went through medical school and used to practice in Mexico. Fortunately, she remembers her training. Last October, right after a store meeting, the employees noticed something happening at the border crossing. A young woman was in labor and there was no medical staff nearby. Sandra ran over “and delivered the baby on a stainless steel table that (the immigration officers) had,” Kory said. The employees all watched, clapping as they saw her with the healthy baby and new mother. “I’ll never forget it!” he said. 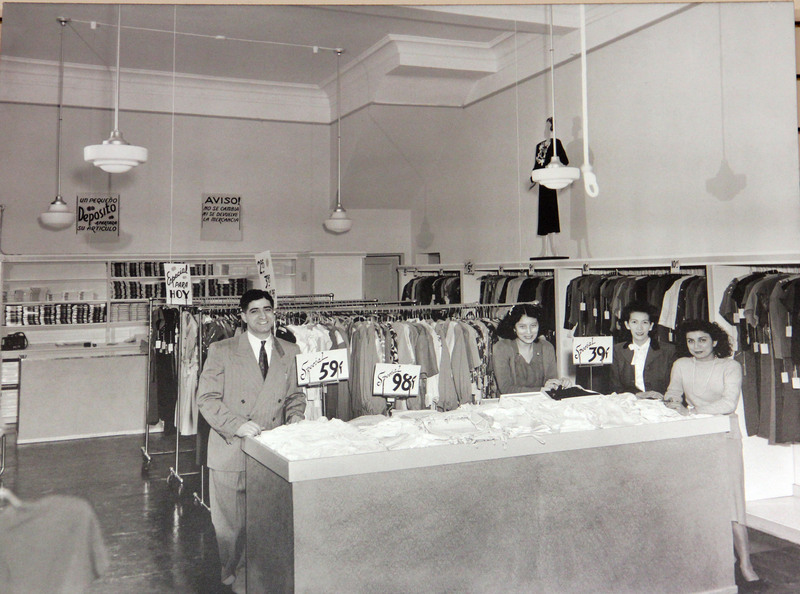 Alex Kory in his store, La Cinderella. Kory credits his father for giving him advice about dating, marriage and life in general. Alex Kory was Lebanese and spoke Arabic, English and Spanish. He was drafted and served as a captain in World War II, but didn’t want that for his career. Neither did his two brothers. Their sister, a merchandiser in New York, told them, “Go west, young men! Go southwest!” So they did. Each settled in a different border town; “My dad was the younger of all and Nogales was the smallest place and he ended up in Nogales,” Kory explained. Alex started a business in 1946 but within a year, a fire destroyed the entire block on which it was situated. Not one to give up, Alex relocated and started La Cinderella and later Kory’s. Although La Cinderella and Kory’s were profitable for decades, the current anti-immigration climate has discouraged Mexican clientele, the majority of their bridal customers since 1968. Fifty to 60 brides used to shop there each month, now it is closer to 20. Kory says the world changed with the passage of the North American Free Trade Agreement (NAFTA) in 1994. The border wall is right across the street from Kory’s, where it sits on the corner of Morley Ave.
quality at cheap price – they came to us…So our business was very, very healthy and strong,” he said. Now more American businesses operate in Mexico, lessening the need for bi-national shoppers and hurting border businesses. The 9/11 terrorist attacks spurred additional change. “Before 9/11, we used to put out a welcome mat. ‘Come on over! Come shop with us!’ After 9/11, (we) said, ‘Here’s a stop sign. Who are you? Why do you wanna be here? How long are you gonna stay?’” Kory said. “At the moment, it’s status quo. It’s build a fence taller. But I hope in the future, that fence comes down (and) it becomes a welcome mat again,” he said.